“I have a history of hair loss in my family. Dr. Bauman started treating me with LLLT in March of 2001 when I noticed that I was experiencing thinning hair. Bauman Medical Group is among the first practices to use LLLT as a treatment for hair loss in the United States. Our experience with the treatments began in 1999. The best candidates tend to be people in the early stages of hair loss; although we’ve seen dramatic results on people in the later stages. In our detailed evaluations of patients for this therapy, we also determine whether they have sufficient hair follicles that can be rehabilitated by the laser’s stimulation. Those who do not meet this criteria might be better off with a different approach (and there are many) to hair restoration. To see if LaserCap laser therapy is right for you, you may request a consultation from Dr. Bauman at the upper left of this page. February 2007: A new, in-office laser therapy treatment facility opens at Bauman Medical Group. Now, patients can enjoy a relaxing view of the water while receiving their laser therapy treatment and other services. The laser facility marks the completion of “Phase 1” of Bauman’s expansion. “Phase 2” will include the addition of more procedure rooms, patient-care areas and a multi-media conference room. Laser Hair Therapy is a non-chemical, non-invasive treatment that is being used around the U.S. for the treatment of hair loss. Like other treatments (such as Propecia and Minoxidil), some patients tend to respond better than others. In general, it seems that patients who ‘have more hair’ (e.g., in early stages of hair loss) tend to have better results. Clinical trials have been published. In the wake of the positive performance of a hand-held laser therapy device in the Dateline-NBC investigation, NBC6-Miami interviewed several South Florida residents who have been using the laser therapy in-office “hood” treatments. Click the video towatch the clip. The Low-down on Low Level Laser TherapyThere’s a new option in hair restoration that is painless and noninvasive. Medicine is beginning to see lasers in a very different light—low level light, that is…In fact, low level laser therapy (LLLT) is among the most exciting new options in the treatment of hair loss. 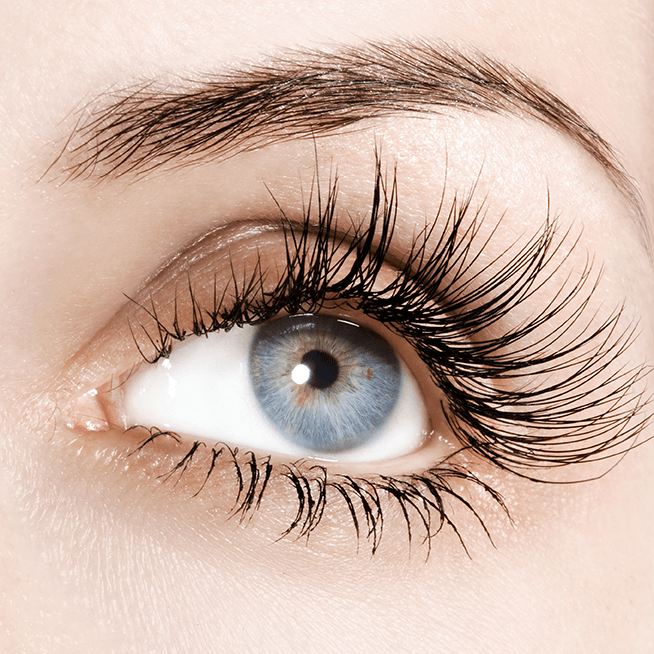 Lasers have long been used in all types of medical specialties, including dermatology. Many have used specific lasers to resurface the skin by creating a wound on the top layer so that new, fresh skin emerges from underneath. But a new generation of lasers takes a very different—‘wound-less’—approach. To understand how LLLT works, you have to alter the way you view lasers. LLLT isn’t a light source that causes thermal, or heat, damage.With LLLT, there is no cutting or burning sensation. The technology doesn’t even resemble the look of traditional lasers. 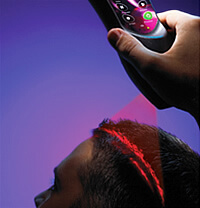 Instead, LLLT is delivered by a device that contains panels of lasers that shine on the scalp. Photo at Left: Dr. Bauman adminsistering a Sunetics “E-Type“ laser therapy treatment for paient (and staff member) Joan Spadafina-PhelpsMen and women being treated for hair loss sit comfortably under the lasers as it gently delivers the phototherapy to the scalp. Most of our patients read a magazine during treatments. There is no pain or discomfort from the therapy–some patients do report some “scalp-tingling.”The visible red light from the hood’s lasers travels several layers into the tissue without harming the skin and scalp. Because the laser light does not cut or burn the skin, the therapeutic light-energy is absorbed by the cells and the process of cell repair begins. One theory of how this noninvasive, non-chemical hair loss treatment works is that it stimulates the production of energy at the cellular level; therefore, improving cell function.It is believed that LLLT may increase blood flow to the treated area as well. European studies have shown that LLLT stops hair loss in 85% of cases and stimulates new hair growth in 55% of cases. While LLLT is no ‘miracle cure’ for hair loss, we have found similar results with our patients. In January of 2007 a hand-held laser therapy device was cleared by the FDA as a treatment for ‘androgenetic alopecia’ (male pattern hair loss). Low Level Lasers have been approved in this country as a treatment for carpal tunnel syndrome, as a wound-healing aide, and as an adjunct to liposuction procedures. Laser therapy has been safely used for decades throughout Europe, the Far East and has no documented side effects. Patients who have used the therapy have said that their hair looks and feels thicker, fuller and healthier and they have noticed improved hair growth. As mentioned previously, Laser Therapy is no ‘miracle cure’ for hair loss. For best results, a visit with a qualified hair restoration physician who can evaluate your condition, make treatment recommendations and evaluate your progress, is highly recommended. Dr. Bauman has observed that, regardless of the treatment regimen recommended, the highest degree of satisfaction is obtained when a patient’s expectations are closely in-line with what the treatment can realistically provide. Laser Therapy is a non-chemical, non-invasive and completely side-effect free treatment for men and women with thinning hair. How does light energy affect human cells? For the uninitiated and uninformed, the effectiveness of Low Level Laser Therapy may seem hard to believe. However, thousands of published scientific papers, large medical organizations, numerous textbooks and tens of thousands of medical professionals use low level laser therapy each day around the world to help their patients suffering from a variety of conditions ranging from injuries, chronic pain, poor healing, hair loss, obesity and more. Today, the mechanisms of low level laser therapy have never been more clear, but there remains a lack of knowledge about this treatment amongst the general public.To add confusion to the problem has been the literal explosion of numerous devices available to the general public without guidance on their use or appropriate expectations for their results. At Bauman Medical Group, we’ve use clinical grade lasers to help our hair loss and hair transplant patients since 1999. Unfortunately, “watered-down” consumer devices used without an accurate pre-treatment diagnosis, scientific measurements or medical follow-ups can make for many disappointed individuals out there in the general public.The good news is that with appropriate diagnosis, scientific measurements, appropriate expectations, correct dosing regimens and clinical follow-ups, the vast majority of hair loss patients can be helped by Low Level Laser Therapy. At Bauman Medical Group we are committed to all of the essential “ingredients” to helping our laser therapy patients achieve the best results with their treatment regimen. One of the latest innovations in medical technology is Low Level Laser Therapy (LLLT). Low Level Lasers are referred to as “cold” lasers because they do not release energy in the form of heat. The light wavelength emitted from a low level laser actually will repair tissues that have impaired cellular metabolism by stimulating blood circulation, encouraging regeneration of normal healthy tissues. During the 1960’s and 1970’s, researchers used low level lasers to evaluate their potential biostimulating effects on living tissues. More recently, LED’s have been shown to have an effect on hair follicle cells that is similar to the effects of minoxidil. An intersting study was presented at the ASLMS (American Society for Laser Medicine and Surgery) in 2005. Click here for the abstract. Laser light also appears to stimulate microcirculation, decrease inflammation, improve cellular metabolism and protein synthesis. Furthermore, European studies suggest that LLLT increases blood and lymph circulation at the hair roots and stimulates follicular cells, which may cause hair to grow in thicker and stronger. Recent studies in the U.S. have shown positive effects on hair growth (including increases in hair density). More studies, evaluating the effectiveness of LLLT in the treatment of hair loss, are still underway. In January of 2007, the FDA granted clearance to the first hand-held low level laser device for the treatment of hair growth. In the FDA summary, the FDA noted that the low level laser device was capable of promoting hair growth in men with ‘androgenetic alopecia’ (male pattern hair loss. Since 1999, Bauman Medical Group has had the opportunity to use a multitude of laser therapy devices for our hair restoration patients: the Laser Hair Care™ 4000, Laser Hair Care 6000 (also known as the ApiraScience’s Revage670), Sunetics Inc.’s “Model E Array,” and several hand-held laser therapy devices. Judging from our own patients’ results, LLLT seems to have had a noticeably positive effect on the quality of hair growth with both our surgical and nonsurgical patients. Many of our in-office treatment protocols have been instituted around the country and around the world by physicians using in-office laser therapy devices. We have also applied LLLT as a healing accelerator for our post-operative surgical hair restoration patients and found this therapy to aid the healing process. 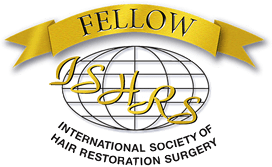 In March of 2007 at the ISHRS Orlando Live Surgery Workshop, Dr. David Perez presented his pilot study on the use of laser therapy to accelerate wound-healing after hair transplantation. It was exciting to see the results he obtained. 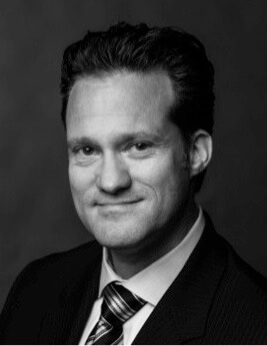 At the 2005 Annual Meeting of the American Society for Laser Medicine and Surgery (www.aslms.org), a preliminary report was presented on the positive effects of Phototherapy on the hair follicle, including hair growth. This preliminary study also provided some insight into the mechanism of action of phototherapy and its effect on the cells of the hair follicle. Click the “read more…“ link below for the summary of the presented paper. Download the FDA’s 510(k) Summary of the first laser to receive clearance for the treatment of androgenetic alopecia (male pattern hair loss). 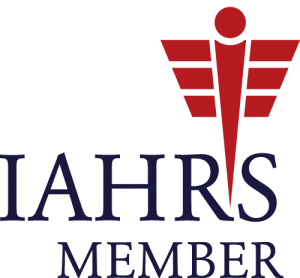 January 2007: Top hair restoration physicians publish a peer-reviewed ‘consensus paper’ on Low Level Laser Therapy in the treatment of hereditary hair loss in the Journal of Cosmetic and Laser Therapy. In the paper, the physicians conclude that while there is a lack of published scientific data on laser therapy and hair loss, as well as an incomplete understanding of the mechanism by which photobiomodulation stops or reverses hair loss, the majority of the phyisicians agree that laser/light devices are safe and mildly effective if used properly. Laser therapy may not be effective in all patients, however, the majority of physician-authors believe that there has been a positive impact in most of their hereditary hair loss patients who have used laser therapy as a stand-alone or adjunctive treatment… Dowload a .pdf copy of the scientific paper here to read it in its entiretyThe current role of laser/light sources in the treatment of male and female pattern hair loss, Marc A. Avram, Robert T. Leonard, Edwin S. Epstien, Joseph L. Williams and Alan J. Bauman, Journal of Cosmetic and Laser Therapy, Volume 9, Issue 1 2007, pages 27-28. Pekka J. Pontinen, PhD, MD, a professor and researcher at the Dept. of Physiology at Kuopio University in Finland, performed several experiments on the effects of various light sources (Low Level Laser Therapy diodes and LEDs) and their effects on skin. Dr. Pontinen is a prominent expert and author of one of the original texbooks on LLLT, ‘Low Level Laser Therapy As A Medical Treatment Modality.’ (Art Urpo, LTD 1992). His research on scalp blood flow after exposure to low level laser therapy led to many of the theories regarding the influence of light energy (LED and LLLT) on skin microcirculation. He concluded that “visible red monochromatic laser light (670nm) induces a temporary increase in skin blood flow with radiant exposures between 0.12 and 0.36 J/cm2.“ Download his peer-reviewed published scientific paper here.Pontinen, PJ; et.al. Comparative effects of exposure to different light sources (He-Ne laser, InGaAl Diode laser, non-coherent LED) on skin blood flow of the head, Int J Acupuncture & Electro-therapeutics Research 1996 21(105-118). Successful LLLT (Low Level Laser Therapy) requires that patients be committed to the 12-month therapy program. We start them on three 15-minute sessions a week for the first four weeks; then two 15-minute weekly sessions for 8 weeks; followed by once a week maintenance therapy for the remainder of the regimen. Some patients taper down to one treatment per month. I also recommend that patients having the therapy are careful to create the best environment for hair growth. This includes using hair care products that are free of chemicals, water to wash their hair that is free of chlorine, and nutritional supplements to fortify hair follicle metabolism. Results are closely tracked during follow-up visits with Dr. Bauman, which include standardized photos and microscopic scalp exams that closely measure changes in hair density and caliber. Patients who are committed to the treatment plan can expect to obtain positive results in about ten weeks. Some patients may take longer to respond to the treatment. For patients who, for geographic or other reasons, cannot undergo the frequent in-office treatments, “laser-combs” (containing a single laser beam) can be used at home to supplement the treatments. Careful instruction, training and follow-up are essential for the successful use of the laser comb.